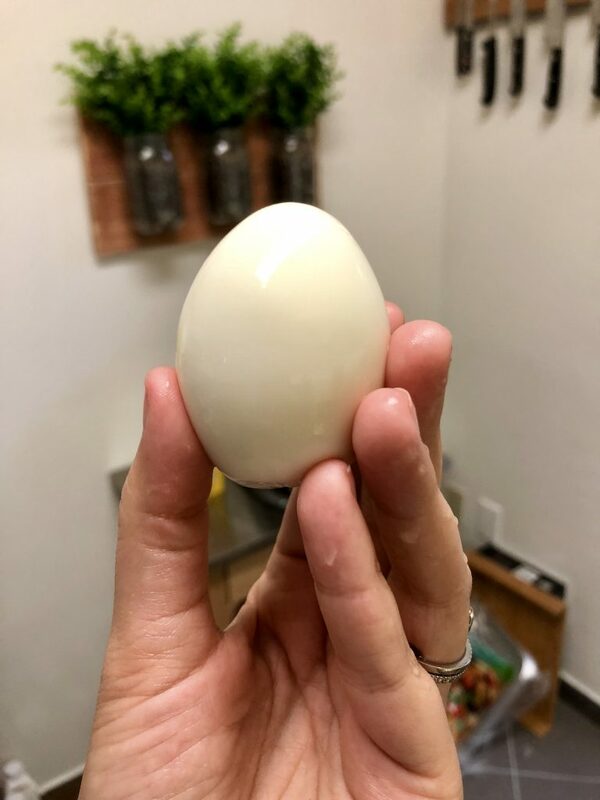 Raise your hand if you ALWAYS mess up hard boiled eggs. How can something so simple be so hard?!??!!? UGH. Preheat oven to 350 degrees. 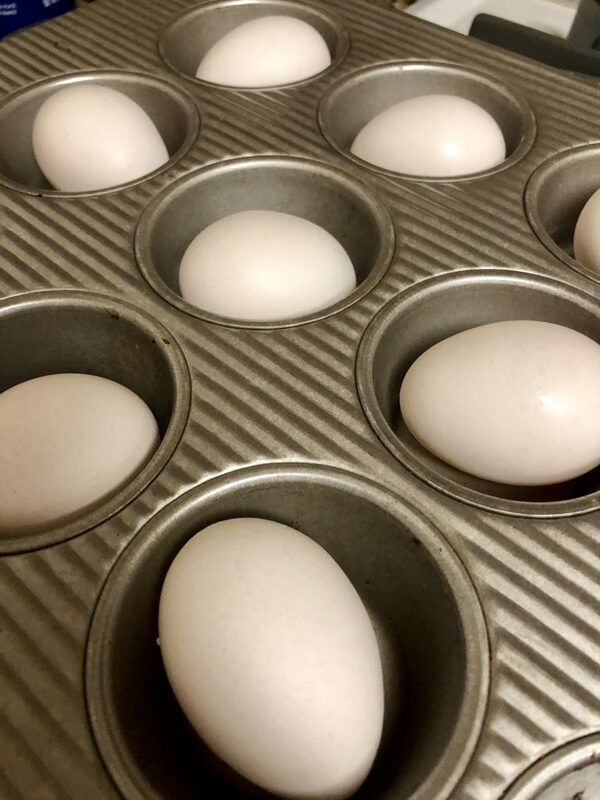 Place whole eggs into a muffin tin, one egg per muffin cup. Do not crack! Bake for 30 minutes. 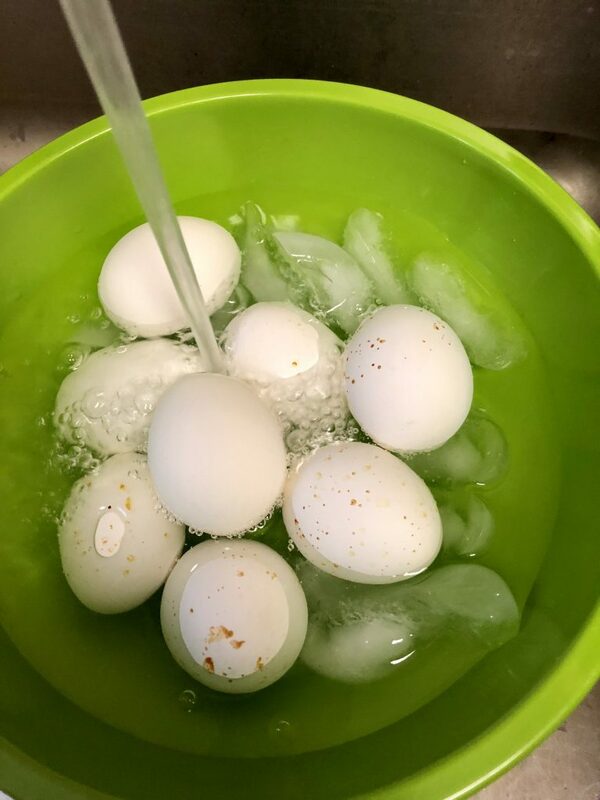 Immediately transfer eggs to a bowl of ice water to stop the cooking. 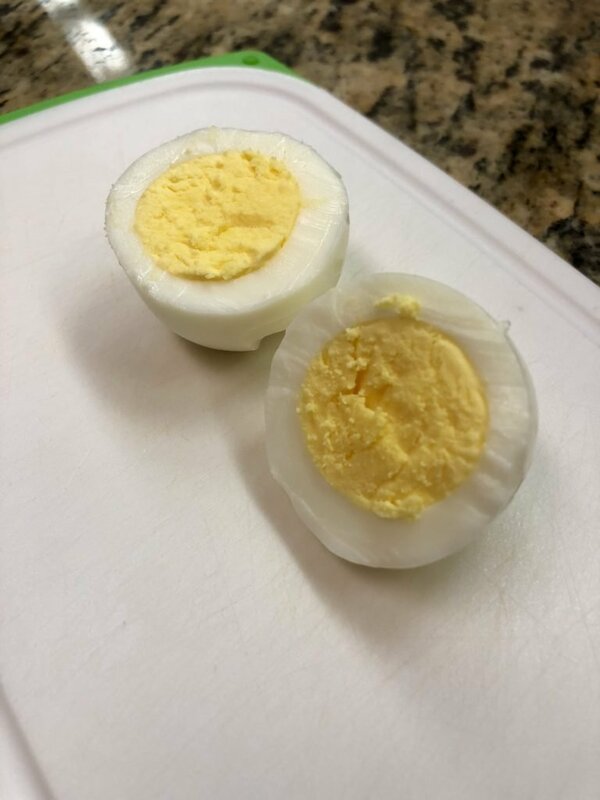 Don’t be alarmed if you see brownish/red spots on some of your eggs (photo below). These are oven marks, NOT gross mystery egg things. That’s it! 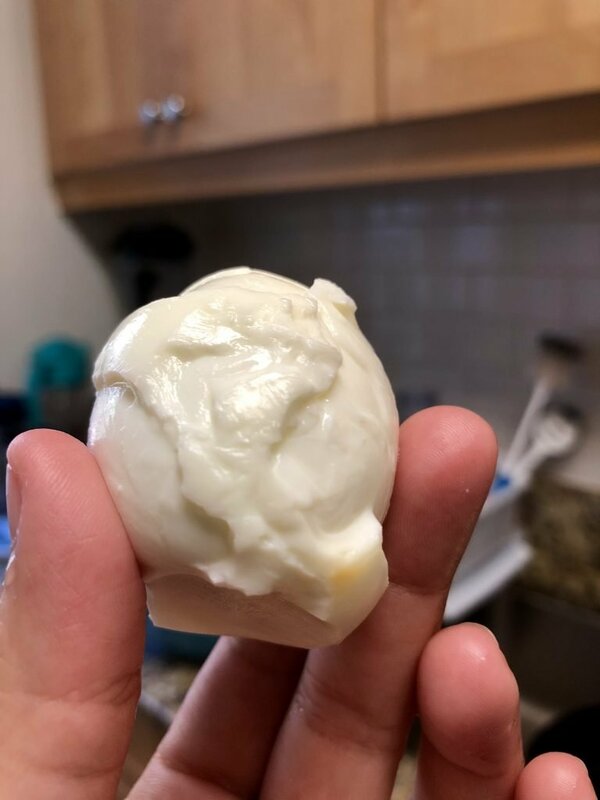 Making eggs like this is great for meal prep, egg salad for a crowd, stocking up for Easter Eggs, and bulk hard-boiled egg prep for the Passover seder. 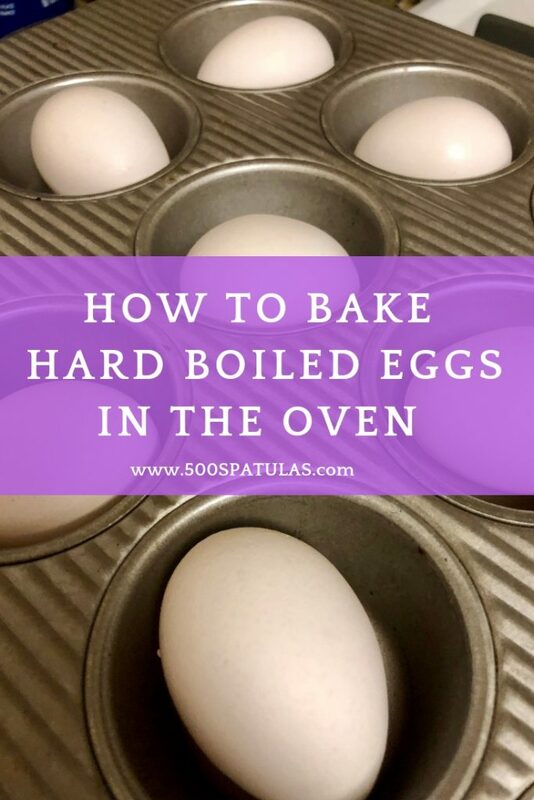 I love that this method is bulletproof and takes all of the guesswork out of hard boiled eggs! Bake for 30 minutes. 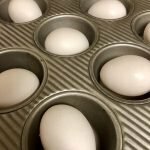 Immediately transfer eggs to a bowl of ice water to stop the cooking. Let cool for 10 minutes, and then peel. Rinse each peeled egg under water to remove any tiny shell pieces. That's it! 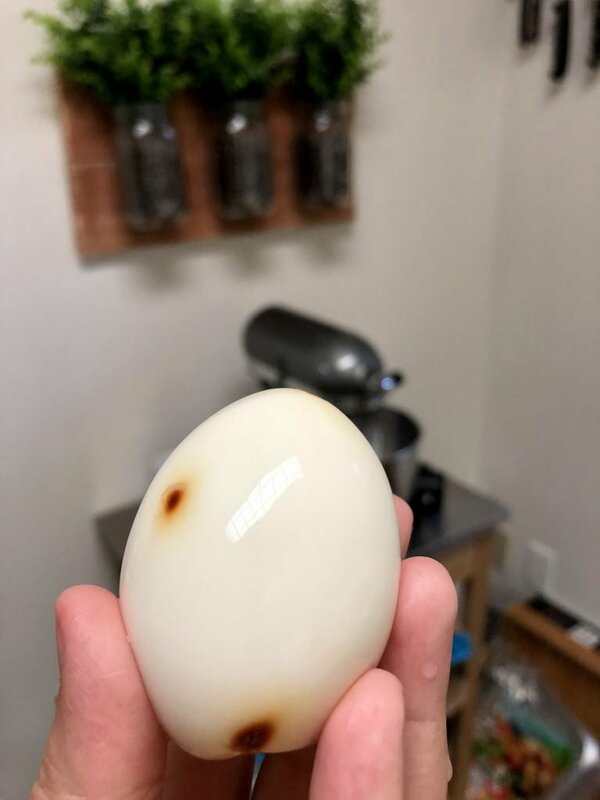 NOTE: Don't be alarmed if you see brownish/red spots on some of your cooked eggs. Those are oven marks, not gross mystery egg things.